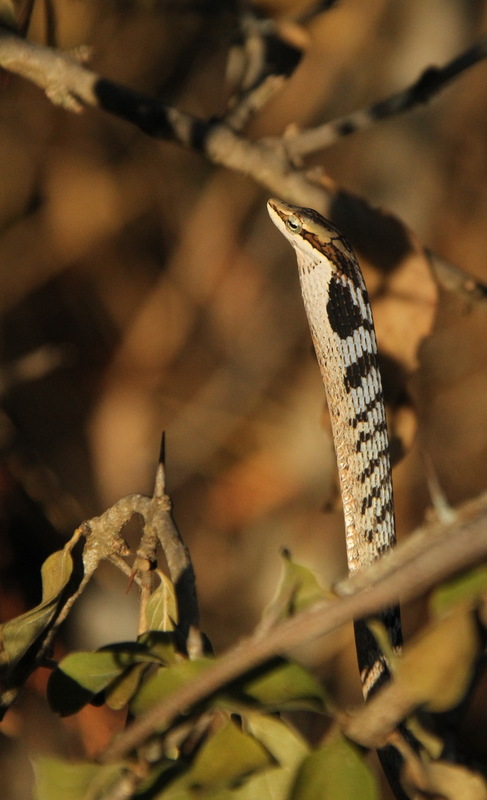 Some of the small creatures have amazing camouflage. 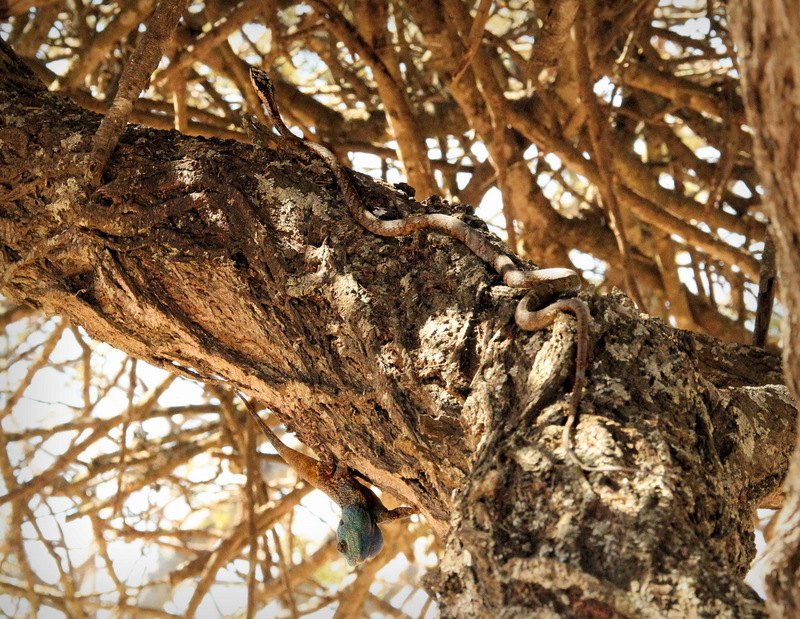 These are two examples: Two Vine Snakes and a Blue-headed Tree Agama. If they do not move it is almost impossible to spot them. 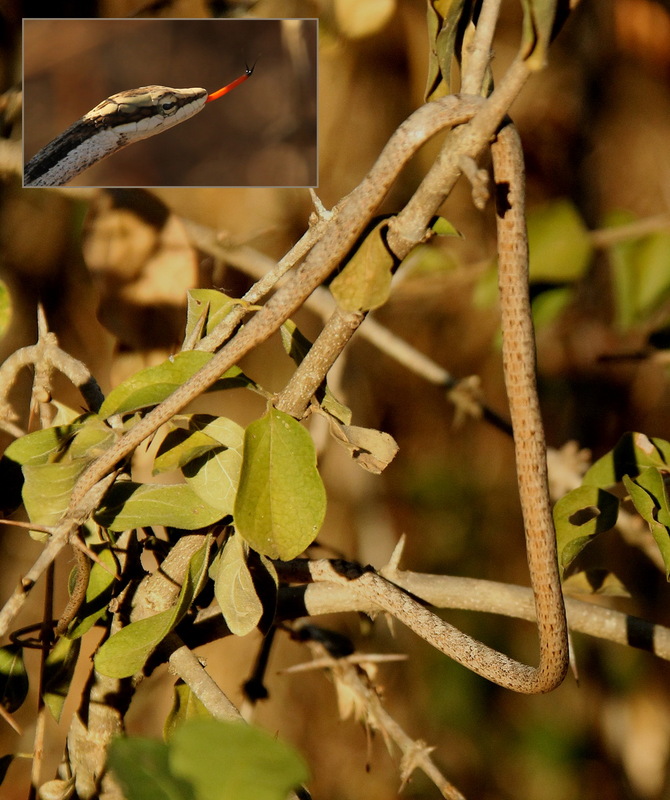 But the human eye detects movement quite well so the two snakes were detected as they were sliding through vegitation. 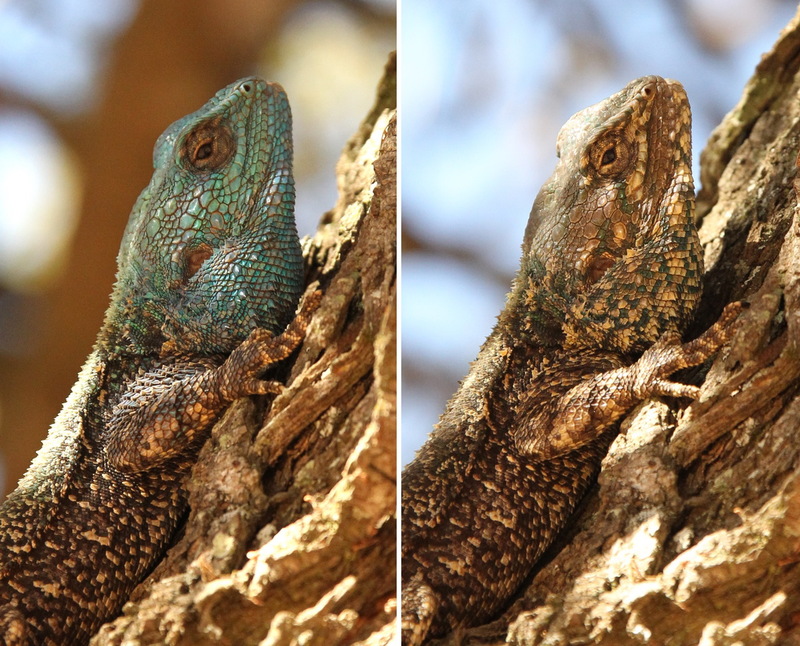 The Agama was sitting very still as one of the snakes moved up on the opposite side of a tree branch. Enjoy the pictures of these incredible animals. Have a good week! 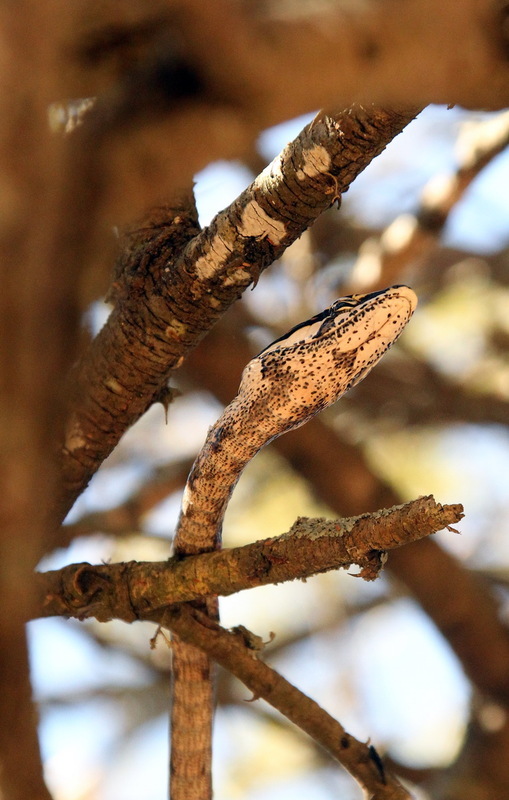 All pictures were taken by Wildlife Photographer Christian Sperka, a regular guest at Pakamisa.